Perennials, 20-50+ cm; stoloniferous and rhizomatous (rhizomes horizontal to suberect). Stems 1 or multiple, loosely clustered, usually glabrous, sometimes tomentose proximally and in leaf axils. Basal leaves (and proximal cauline) petiolate; blades orbiculate, ovate, or obovate, 40-100+ × 20-80+ mm, bases tapering, rounded, or abruptly contracted, margins crenate, dentate, or serrate. Cauline leaves gradually reduced (sessile, clasping; pinnatisect or sublyrate). Heads 6-15+ in open or congested, corymbiform arrays. Peduncles bracteate, glabrous or proximally tomentose. Calyculi conspicuous. Phyllaries 13 or 21, green (tips sometimes reddish), 3-6 mm, glabrous or floccose-tomentose proximally. Ray florets 8-13(-21); corolla laminae 7-10 mm. Disc florets 40-50+; corolla tubes 2-3 mm, limbs 2-3 mm. Cypselae 1-1.5 mm, glabrous or hirsute on ribs; pappi 3-6 mm. 2n = 44, 88, 90. Flowering late Feb-Apr (south), early Apr-early Jun (north). Meadows in deciduous woodlands, wet ditches, stream banks, rocky hillsides; 0-2500 m; Ont., Que. ; Ala., Ark., Conn., Fla., Ga., Ill., Ind., Kans., Ky., La., Md., Mass., Mich., Miss., Mo., N.H., N.J., N.Mex., N.Y., N.C., Ohio, Okla., Pa., R.I., S.C., Tenn., Tex., Vt., Va., W.Va.; Mexico (Coahuila). Packera obovata forms relatively large, stoloniferous colonies in wet sites. Infrequent probably throughout the state, although there are no records from the northwestern counties. Where it is found, it is usually common to abundant over small areas. Its preferred habitat is clayey or rocky slopes and dry clayey banks along streams. It is also found in moist soil in various habitats. The variety rotundus Britt. is a form with subrotund basal leaves. A study of large colonies of this species convinces one of the futility of trying to keep this variety separate from the typical form since both forms may be found in the same colony. The colonies, however, are usually of one form and the two forms are about equally distributed throughout the state. Variety umbratilis Greenman usually has basal leaves which are "oblong-ovate to oblong-elliptic, 2-8 cm long, 1.5-5.5 cm wide, with petioles 2-12 cm long." The type was collected near New Albany and it has been reported from Porter County. Greenman has referred some of my specimens from Posey and Starke Counties to this variety. Fernald (Rhodora 23: 299. 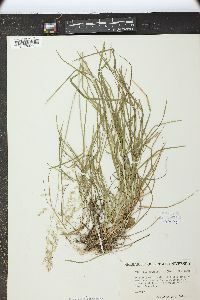 1921) refers this variety to Senecio pauperculus var. balsamitae (Muhl.) Fern., where it seems to belong. The species and the two varieties are combined on one map.